We offer a high quality range of Head Box that is closed air cushion pressured with double roll used on fourdriner. Our range of Head Box is available in sizes up to 4000mm slice opening which is ideal for 250 to 700 mill speed. We follow a comprehensive quality management program to ensure that our range of Head Box is of the highest quality. 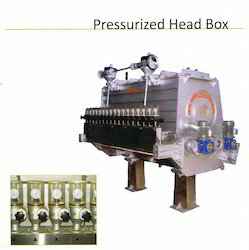 We are a leading manufacturer of Pressurized Head Box that is widely used in paper industries across the globe. Our range of pressurized head box is manufactured using high grade steel and aluminum to ensure unmatched quality and effective performance. Foam killing shower for cleaning foam. Top lip up down mechanism with the fine tuned gear box, with service side operating. 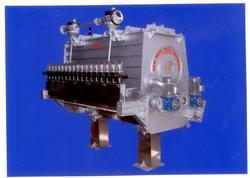 We are a leading manufacturer of Open Head Box that is widely used in paper industries across the globe. Our range of open head box is manufactured using high grade steel and aluminum to ensure unmatched quality and effective performance. Level adjustment with centering arrangement. We are one of the leading manufacturer supplier and exporter of Paper Machine Headbox. Looking for Paper Machine Headbox ?